We begin this week on the dumpster diver series by taking a look back. Radio deejays often talk about how often they have to reset their conversation. They have to assume that they get a new bank of listeners every so often. I don’t know if that holds true in the blog world, but I will adhere to it here. Essentially, what we are doing is taking a look at players that are owned in 25 percent or less in leagues. At this point in the season, we are looking for players with at least 100 plate appearances and who are eligible in center field. As you might imagine, some players are eligible in multiple positions, so we will look at players that play a healthy number of games in center field. 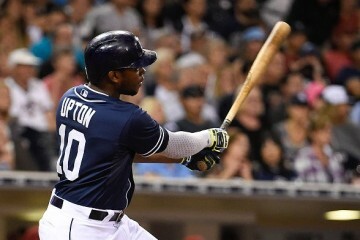 As we have done before, we will look at traditional numbers, plate discipline numbers, and batted ball statistics to determine who might be ready to take off. Unfortunately, “take off” is a bit of a misnomer at this point in the season. Most of the good players have been snatched up already. So, we are looking for players that will play better than they are now and give you a decent backup for your bench. Today, we will look at the younger players at the position. Next time, we will take a look at some veterans. These numbers are accurate as of May 30th. Atom Ant was a punk rocker from the 1980s. His only real hit was a song called “Goody Two Shoes.” In that tune, he asks, “don’t drink, don’t smoke, what do you do?” When you see players like above, you undoubtedly notice that they don’t hit for power and they don’t steal bases. So, what do they do exactly? Lagares and Saunders are at least hitting for a reasonable batting average, but neither is what you would call an on base machine. Amongst the three, Bradley likely has the best future in front of him. However, he’s never hit more than ten home runs in a minor league season and has never stolen more than 16 bases. 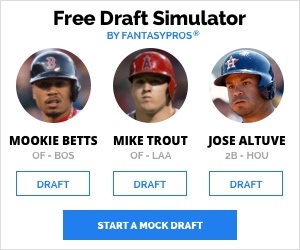 Sure, there is a lot more to baseball than steals and dingers, but in the fantasy world those are two of the five major categories. His walk rates have been good throughout his career, so if you are playing in an OBP league then you should maybe consider him. This is why we look at plate discipline data. Out of the three, I am most concerned about Juan Lagares. His BABIP is abnormally high and his walk rate is considerably lower than the other two. He is also swinging at far too many balls outside the zone. When you consider the Oswing rate, that explains the lack of walks. At this point, he is making league average contact, but that might change as pitchers get him to fish at more balls outside the zone. Bradley and Saunders both have very impressive rates on swings outside the zone. 30 percent has typically been league average, so both of these guys are laying off bad pitches. Unfortunately, Bradley is not making contact, but that might change as he develops. 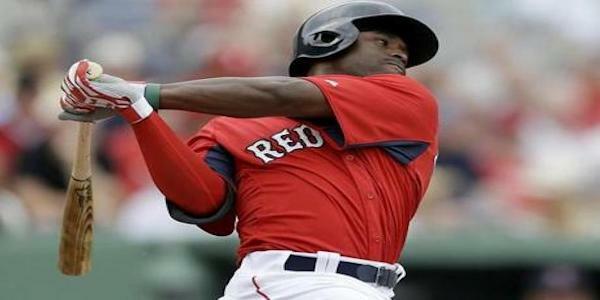 The question is whether the Red Sox will give him the opportunity to learn on the job. Contenders are notoriously impatient with young players and the Red Sox are currently in the AL East cellar. There are already rumors about them seeking help from outside the organization. So, the safest bet for your bench is probably Michael Saunders at this point. 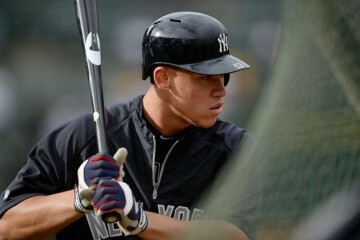 He already has turned in a virtual 20/20 campaign in 2012 (19 homers and 21 steals) and hit 12 home runs a season ago. Considering the fact that we are at the one third mark, we can expect a little bit of a power surge from here on out. 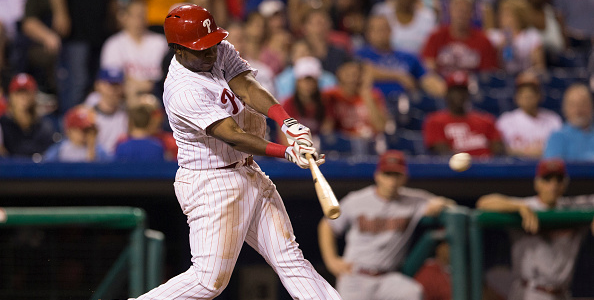 Of course, that is why we take a look at the batted ball statistics to see what is going on. 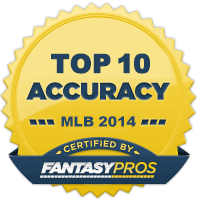 The league average rate for home runs on fly balls is ten percent. So, all of these guys have a ways to go before they become even league average power hitters. Secondary average is another place where we see that power and speed manifest itself. Saunders is the best in that department, but his numbers aren’t tremendous. Last time, I introduced a metric called real offensive value (ROV). It simply averages batting average and secondary average. Saunders is easily number one with a .260 ROV amongst these three guys, but that is probably only a league average mark. Lagares lacks behind with a .236 ROV and Bradley has a .215 mark. The batted ball numbers back that up since Saunders has a higher rate of line drives and a higher rate of home runs on fly balls. 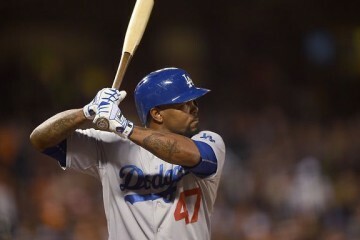 Of course, whether you want a league average center fielder on your bench or not is up to you.